There is a great deal today on Zulily for everyone that is ready to add fresh vegetable, fruits and flowers to their yard! 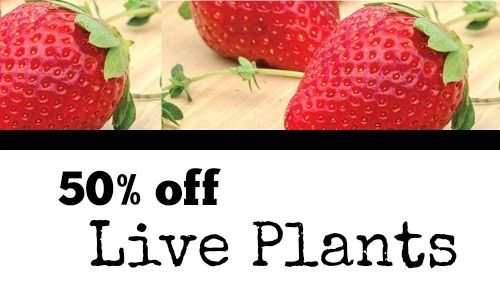 The Gurney Seed & Nursery Co. is offering live plants at a big discount plus they are straight to your door! Grab blueberries for $16.99 (for 2 plants) or go for Blackberries for $14.99 (2 plants). They also have cherries, raspberries, figs, grapes and a few other options. These will arrive and be ready for planting the day they come. One personal tip, put like plants near each other. They come in sets of two because berry plants require another plant to cross pollenate with. We have ordered directly through this company before and loved the plants that came. Currently I have 8 blueberry bushes that are already blooming and should produce their first tiny crop this year. 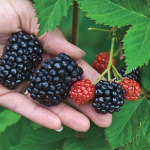 New plants can take 2-3 years before they bear fruit, so if you want them don’t keep putting it off! !